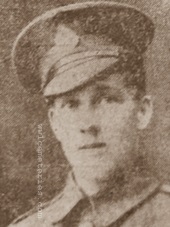 24th March 1918, aged 18. 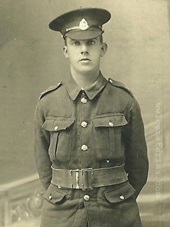 Son of Richard Hale, of 22, Upper Mill St., Evesham, Worcs. 31st May 1917, aged 19. 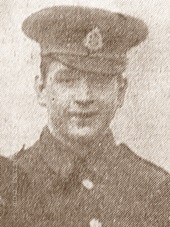 Brother of Norman Hall, of 5, Alma St., Padiham, Burnley. 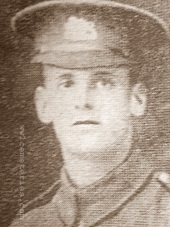 Robert enlisted in August 1916, he was one of five brothers who fought in the war, only one, Alex, survived. Husband of Mrs Halstead, 9, Lawrence Street, Cog Lane, Burnley. Prior to enlisting, Charles worked as a weaver in Cowpes' Mill, Wood Top. He was associated with St. Catherine's Church and an active member of their football team. He had served 16 years with the army and was with the Territorials when war broke out. After being posted as missing, his wife was erroneously told by the War Office that he had been taken prisoner. 21st May 1917, aged 21. Son of Mrs Haney, 9 Clarence Street, Burnley. One of 7 brothers who served, 5 of whom returned home. Harry, as he was known, died as a Prisoner-of-War. 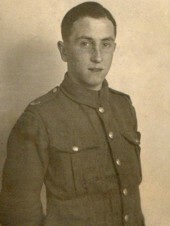 He was reported missing on 19th May and later died in a Prisoner-of-War Camp. He was single and prior to enlisting was a yard-man at the Bank Top Goods Department of the Lancashire & Yorkshire Railway. Husband of Mrs Hanslip of 19 Parliament Street, Burnley. Edward was formerly a weaver at the Hill Top Mill Co. 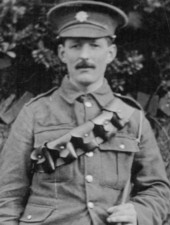 He enlisted in September 1914. 27th March 1918, aged 19. Son of James Hargreaves, of 124, Oxford Rd., Burnley, and the late Martha Hargreaves. Fred was single and worked as a Drawer at Towneley Colliery. 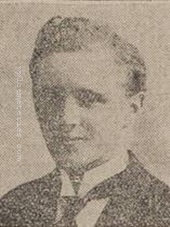 Husband of Eleanor Harley, of 24, Spencer St., Burnley. 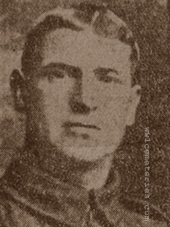 William enlisted in July 1916 and went to France in February 1917, he had been at the front for just two months when he was killed. Prior to enlisting he was employed as a weaver at Messrs. Grey's Cameron Mill, Burnley. Son of Harry and Sarah Jane Harper of 73 Wind Street, Ammanford, husband of Caroline Harper of Grantsfield, Leominster, Herefordshire. 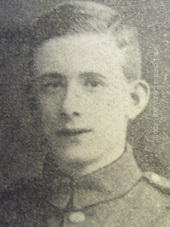 21st May 1916, aged 19. Son of Samuel and Mary Harrison, of 54, Holbeck St., Burnley. A brother, Samuel was taken prisoner but survived the war. 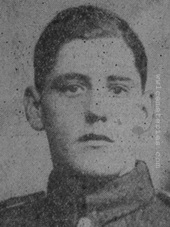 Prior to enlisting on March 13th, 1915, he was a weaver at Messrs. Halstead’s Queensgate Shed He went to the front on March 17th, 1916. "I regret to inform you that your son, No 26851 Private T. Harrison, has been missing since the recent fighting in the sector lately occupied by the 140th Brigade Machine Gun Company. Before deciding to write to convey such sad news to you I have waited some days in order that replies to my enquiries of the casualty clearing stations might come through, but I now regret that I am unable to get any definite information. I can only assume that your son was killed or wounded in the terrific bombardment which preceded the German attack. He may, of course, if wounded, be a prisoner of war, but I am afraid this is unlikely. Will you please accept my sincerest sympathy? The loss of such excellent soldiers as your son is one I feel deeply, but I am intensely proud to be able to tell you that our machine gunners stuck to their guns and died at their posts rather than give up ground which there was a chance of holding." 9th May 1917, aged 19. 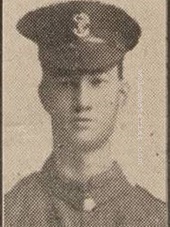 Son of Mr. and Mrs. C. Hartley, of 15, Camp St., Harle Syke, Burnley. "It is with very real sorrow that I have to write this letter. Your son, Pte. 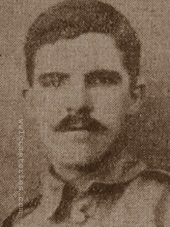 Hartley, was killed by a shell early this morning (10th inst.). He did not suffer, as death was immediate. Nothing I can say can make your loss any less, but we hope you may find some help in the knowledge that your son's death is a personal loss to the officers and men of his company. He set a fine example of cheerful devotion to duty, and although he had not been with us long we had already begun to regard him as one of the most cheerful and willing men. The memory of his life and the manner of his death, will, we hope, be consolation to you in this time of trial. He will be buried in a small military cemetery behind our lines and a cross will be placed over his grave." 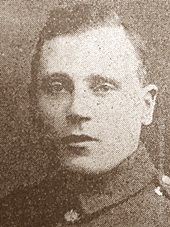 Charles Joseph Hayward, D. C. M.
28th April 1917, aged 23. Son of Mrs. G. A. Hill, of Castle Cary, Somerset. Remembered by Helen Muirhead (Great Niece) on behalf of your loving sister Theresa Hopkins (nee Hitch). Son of Mr & Mrs Horrocks, 24 Annie Street, Ramsbottom, Lancashire. 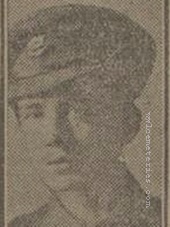 Mr and Mrs. Horrocks, of 24 Annie Street Ramsbottom, Have receive official news from the War Office, stating that their son, Pte. 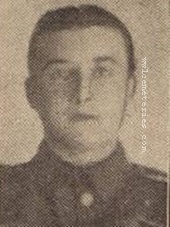 William Horrocks, East Lancashire Regt., was killed in France on April 3rd. Pte. Horrocks who was unmarried and the only son of Mr. & Mrs Horrocks, resided with his parents at the above address. 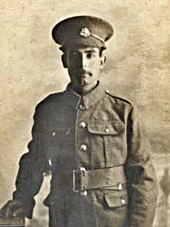 He joined the forces on the 3rd November, 1915 and has seen service in Egypt. He was home on leave until December 13th of last year, when he returned to France. His name appears on the Roll of Honour at St. Andrew's Parish Church, being a regular attender at both church and Sunday school. Prior to joining the forces he was employed at Messrs. Stead's Irwell Mill, Ramsbottom. A field card dated April 1st was received from Pte. Horrocks on the 7th inst. on which he stated that he was quite well. 4th March 1917, aged 24. Son of Mrs. Rachel Hughes, of Cycamore Cottage, North Cornelly, Pyle, Bridgend, Glam. 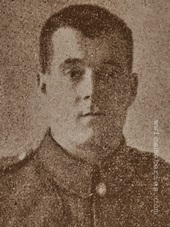 David Hughes Joined the Middlesex Regt. 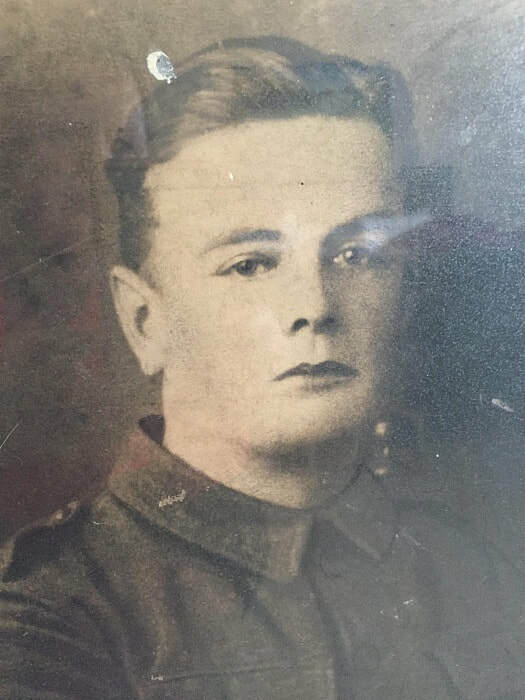 & trained at Aldershot he moved with his unit, a Division of K3 and crossed over to France on September 1914 in the 24th Div for a truly appalling experience, being forced marched into reserve for the British assault at Loos 1915. David also saw action in Sept 1916 at Longueval, Delville Wood in the notorious Tea Trench and Pommiers Redoubt battles. Also the battle of Guillemont (fourth phase) and finally on to the battle of Arras where he David was recorded missing 4th March 1917 during a forced march to divisional rest at Lapugnoy near Arras. 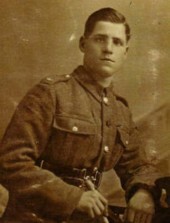 24th March 1918, aged 19. Son of William and Amelia Harriett Jupp, nee Gatland husband of Louisa Hilda Harding, they were married on 30th March 1913, at St Luke's, Peckham. Son of Mrs. Annie King, of 13, Ferry Lane, Widcombe, Bath.